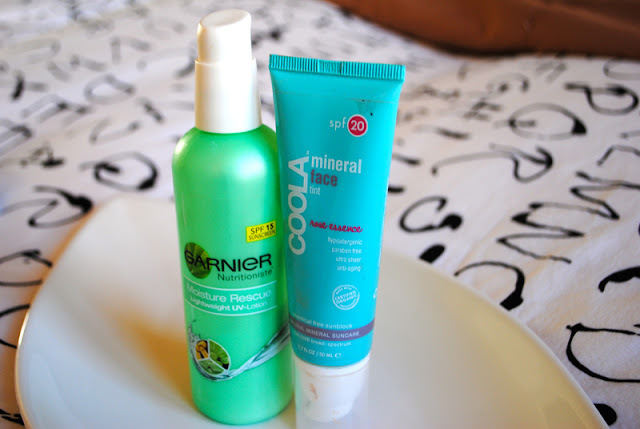 I have very sensitive skin, but I also love trying new products, so it's been a bit of a not-so-fun trial and error game trying to see what products won't irritate my skin. My skin's bad reactions to face creams range from slight red irritation to swollen shut eyes, patchy skin, and even a painful rash (Oil of Olay CC cream, I'm looking at you). I believe in using natural and organic skincare with as few chemical-y ingredients as possible, but I have also have had allergic reactions to those products, so it's definitely a give and take. 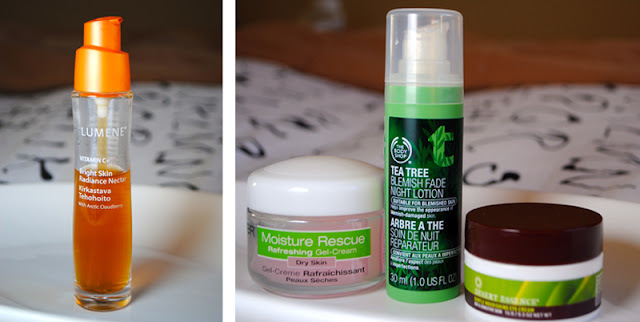 I'm currently saving up my money to try the Michael Todd True Organics' sensitive skin set. For now, though, I thought I'd share my current favorite products and routine. 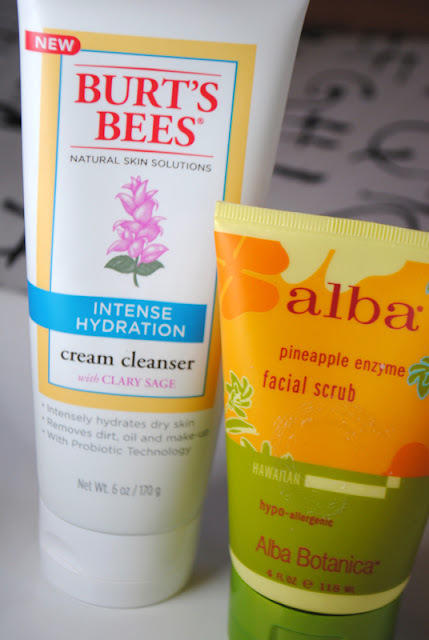 All of these products work great for my sensitive skin, so I highly recommend all of them to others! I'm really liking this UK brand! I first saw this line a little over a year ago. 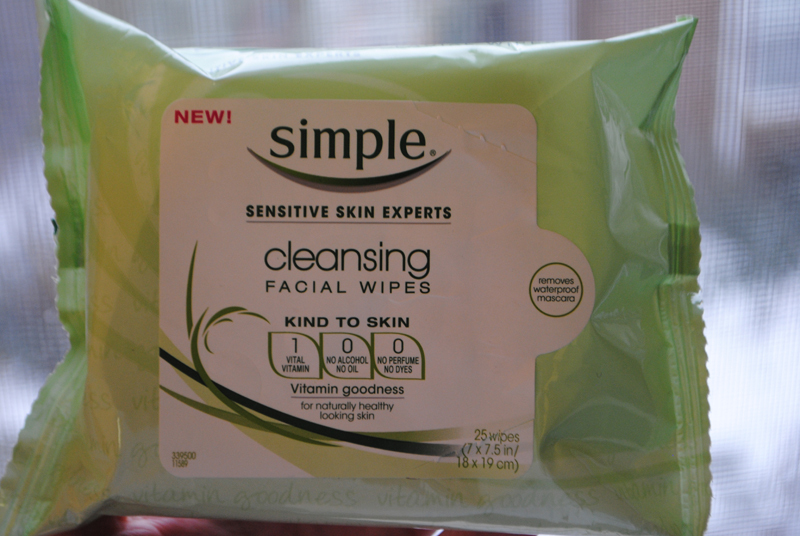 I've tried these regular wipes and also the exfoliating version. I prefer these. Even though these are made for sensitive skin, I have learned that I should still stay away from using the wipes to remove my eye makeup. But for everything else, this is great! Lumene Finland's tagline is "Natural Beauty from the Arctic." 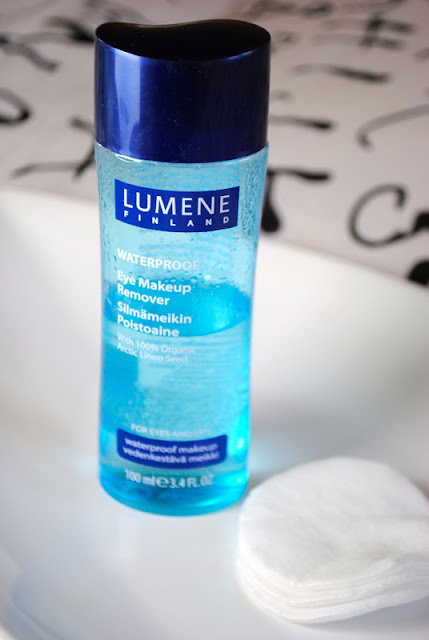 This is one of those oil-based waterproof makeup removers that you have to shake up gently before squirting onto a cotton pad. Just hold the cotton pad on top of your closed eyelid and this takes everything off. This has never irritated my eyes. Love it. I actually purchased my Clarisonic Mia2 on QVC because the Mia2 sold on QVC comes with a 3 oz. 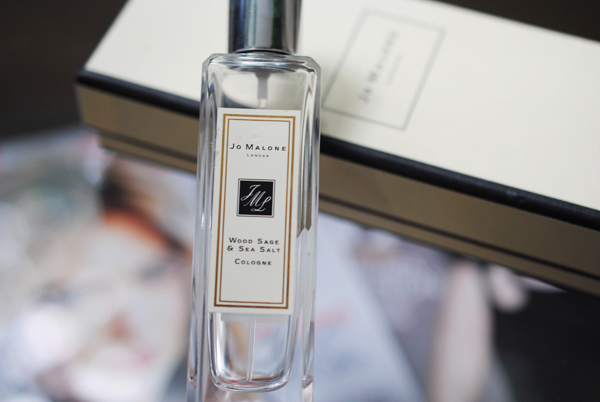 bottle of the famous Purity cleanser, which I was dying to try. I was so happy I did! It takes off everything yet doesn't make my skin tight. 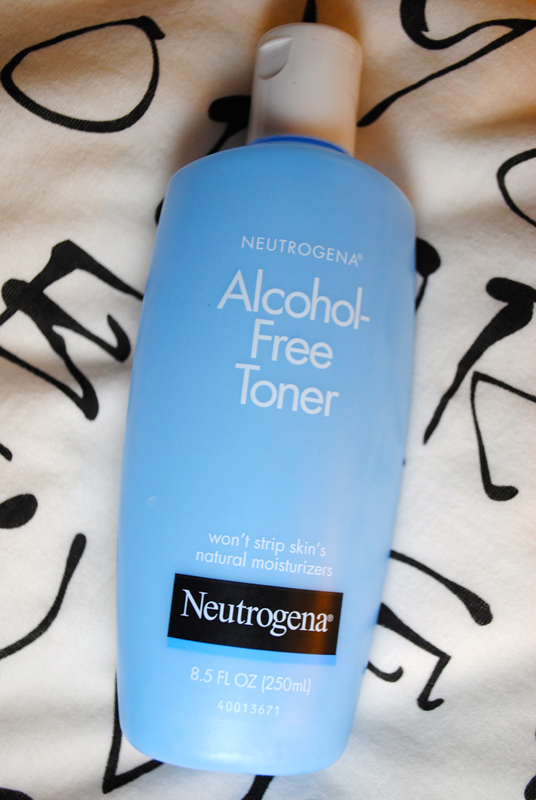 Like all Philosophy's products, this cleanser's smell is great - plain ol' fresh smell! I have been reading that this cleanser's extensive ingredient list is far from pure, hence why I want to try the Michael Todd True Organics line. 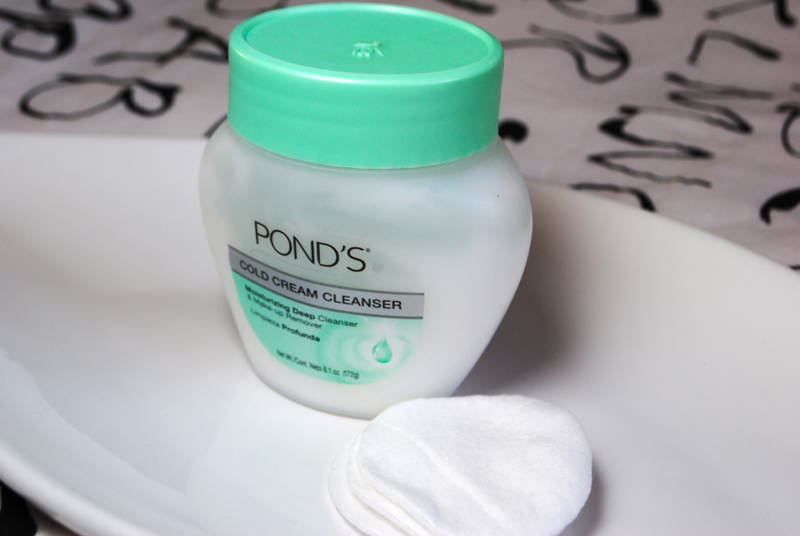 I use this classic cleansing cream with cotton pads or Q-tips to wipe away the last bits of eye makeup after I wash my face. I know some people like to stay away from mineral oil, but I have been using this for years (and so have my mom and grandma) and I will continue to do so. It's hypoallergenic and 50% moisturizer, which is amazing. This jar lasts forever! This natural sunscreen's application is so un-sunscreeny. It's emollient which means it's a breeze to apply to your face and body. It also has green tea, grape seed oil, Vitamin E, aloe vera, lavender and chamomile. This is light, soaks into the skin quirky, and smells great. My friend gave me this, as her old job at a magazine had tons of beauty sales. I've just started to mix this with the Garnier lotion. The tint gives me a tiny bit of an extra healthy glow. I will definitely be exploring more of this organic line! I figured I'd try this especially for the winter months, when my face is a tad on the dull side. I'm actually pretty bad at figuring out if serums do anything to my skin. I know it smells like oranges! It's alright, but I probably will try something else next time. The gel-cream consistency of this product means it soaks into the skin super super quick! 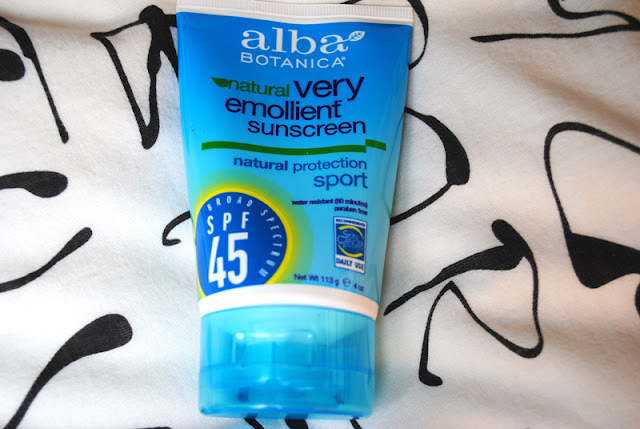 I have also used this in the day as well, but with SPF underneath as this does not contain SPF. This stuff has great ratings on The Body Shop's website, and for good reason, this stuff really works! I usually break out around my chin and mouth, so I just focus my application there, and then I put the Garnier gel-cream around the rest of my face and neck. Oh my.. this is the Holy Grail of eye creams for my sensitive skin! I have had horrible stinging reactions to so many eye creams so when I found this, I was like, "right, done and done." After nights out or days when I wear heavy makeup, I rely on this after I wash my face and before my moisturizer to really make sure all that makeup and dirt's off. Once or twice a week I use the Clarisonic Mia2 with the Delicate brush head, which is designed for extra-sensitive skin. I used to use it more often, but I realized that my face couldn't handle any more. I stick using the Clarisonic soley at night because it makes my face red for 15 minutes afterwards. Over the last couple weeks, I've been testing out the new cream cleanser. It has clary sage in it, which is supposedly a miracle for dry skin. The reason why I bought it was because it has probiotics in it as well, and I was super curious what those would do for the skin. This cleanser does smell very strongly of Smarties candies, so that's a little off putting, but I my dry skin is feeling pillowy soft after using this. This Alba Botanica scrub smells so good and is feels so very gentle when exfoliating my skin. Note: I've listed the retail price for these products, but for most of these, I either used a BOGO 50% off deal or some sort of other sale or I had coupons. Never pay full price ladies!